Network functions virtualization (NFV) is a trend that is being driven by multiple service providers around the world. Service providers are looking at integrating NFV in their network to accelerate the deployment of new network services, reduce capital and operating expenses by leveraging cost effective COTS (Commercial Off-The-Shelf) hardware, and make more efficient use of network resources. NFV moves network functions like switching, routing, firewall, BRAS, and many other devices from hardware appliances to running on virtualized x86 based server platforms. Integrating NFV within a network is key to increasing competitiveness in a very dynamic market, where service providers are constantly trying to satisfy their customers’ needs. Just like in the case of server virtualization, a successful NFV deployment requires thorough testing and end-to-end network validation to deliver on the touted advantages. What are the benefits of migrating to standard hardware and software-based control? What should be virtualized first and when? How will migration to commercial hardware and the cloud impact performance? 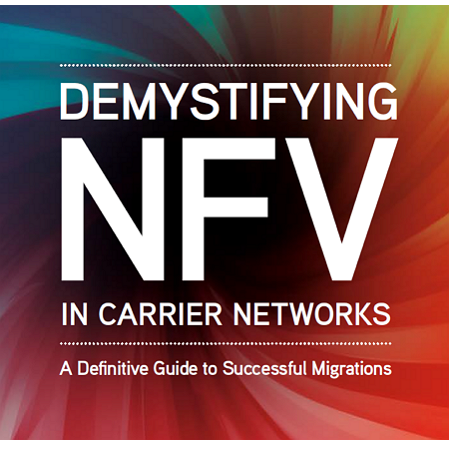 Will SDN and NFV implementations scale? Ixia’s NFV test solutions demystify the virtualization process – what to virtualize and how—and offer a reliable process for measuring success. Ixia delivers both traditional hardware-based performance testing and monitoring as well as virtualized solutions such as IxVM and Phantom Virtual Taps (vTaps). The industry’s only end-to-end solution, Ixia NFV testing delivers performance validation and visibility throughout the migration process and deployment life-cycle. Network operators can proceed with migrations, confident of its value and success, and position themselves to profit from change. IxNetwork is designed to test network infrastructure, capacity, scalability, and convergence using scaled protocol emulation. IxNetwork running over IxVM provides a flexible deployment of Ixia traffic generator and protocol emulation to perform wide-scale functional testing of L2/3 devices. Using virtual load modules, IxNetwork running over IxVM offers the unique ability to benchmark the performance of virtualized servers by simulating data center traffic between VMs, for data center/cloud computing environments. Also, IxNetwork running over IxVM enables the ability to deploy virtual test ports inside virtualized network devices, for end-to-end testing of NFV implementations. IxLoad performs L4-7 application testing for a wide variety of virtualized application architectures. Using virtual load modules, IxLoad running over IxVM allows complete functional and performance testing of virtualized servers and 10GE converged network adapters (CNAs) for data center/cloud computing environments. Also, IxLoad running over IxVM has enables the ability to test virtual firewalls, virtual deep packet inspection (DPI) devices, virtual load balancers, or other virtualized network devices, for functional and performance testing of NFV implementations. Ixia RackSim emulates a virtualized data center environment with all of its complexities. A single RackSim appliance can simulate a rack full of servers/hosts with various hypervisor flavors. The emulated hypervisors can be setup to host simulated virtual machines with all VM events, in addition to generating traffic from the simulated VM. Ixia’s Phantom vTAP provides 100% visibility of traffic passing between Virtual Machines (VMs) in virtualized computing environments and clouds. Virtualization Taps include integrated management and monitoring tools for your virtualized monitoring layer.These versatile software devices also send monitored traffic in encapsulated tunnels to physical monitoring tools, so you can use your existing tools and infrastructure to monitor your virtual environment. BreakingPoint VE provides enterprise IT departments with the same high-fidelity, real-world testing that security vendors and leading service providers use to ensure network security resilience – now in an elastic deployment model that makes sense for their business.